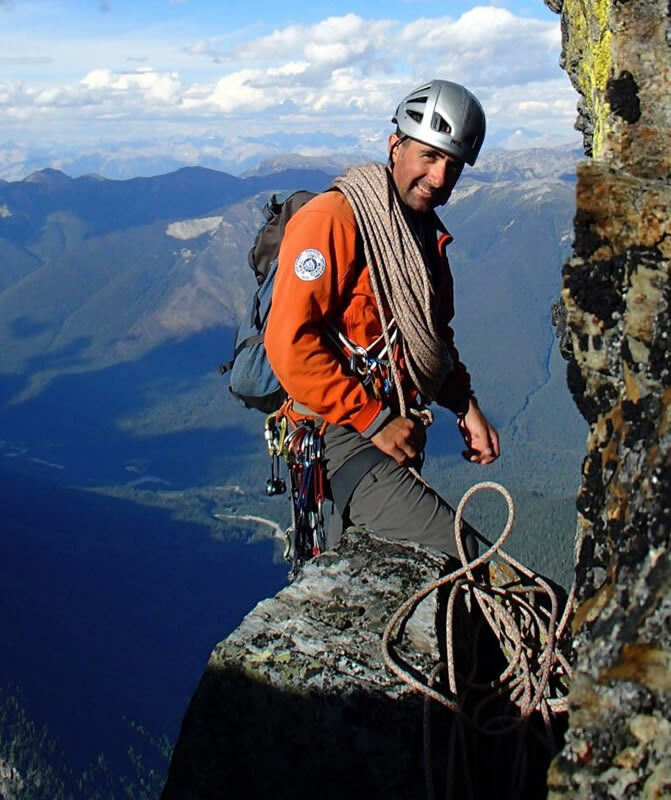 Galena Mountain Guides (GMG) is a BC based guide service that specializes in camp-based climbing and skiing adventures in remote, wilderness locations throughout British Columbia. Our primary summer program is the Backcountry Mountaineering Camp (BMC). GMG also offers guided international ski touring and climbing trips to the Bernese-Oberland, the Ortler, and the Haute Route in the European Alps, Iceland, Norway, Svalbard, and anywhere else you would like to go with our Custom Trips. GMG is owned and operated by husband and wife team Pierre Hungr and Natelle Fitzgerald. The company was founded in 2018 after they purchased the original BMC from Brad Harrison. They are both very excited to be carrying on the BMC legacy, exploring the beautiful mountains of BC with wonderful guests. 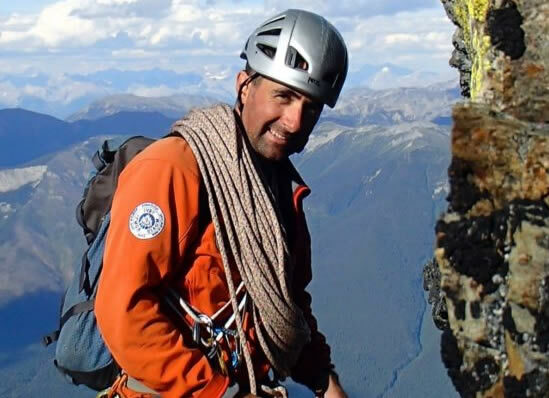 Pierre Hungr is a professional mountain guide certified by the Association of Canadian Mountain Guides (ACMG) and the International Federation of Mountain Guides Association (IFMGA). His winter guiding work consists of ski touring at Snowfall and Icefall Lodges and ice climbing in the Selkirk and Rocky Mountains of Canada. In the springtime, Pierre guides ski mountaineering and ski traverse trips throughout the mountains of BC as well as the French, Swiss and Italian Alps. During the summers, Pierre guides mountaineering, alpine and rock-climbing trips. He's had the opportunity to guide and climb extensively throughout the Rockies and Selkirks as well as further afield in Denali National Park, the Wrangell St. Elias, throughout the US and Europe. Pierre's focus has now expanded to finding exciting new locations to guide in throughout the mountains of BC with the purchase of the BMC. Pierre is a Professional Member of Avalanche Canada (AC), has a Bachelor of Music Degree from the University of British Columbia and is fluent in English, French and Czech. 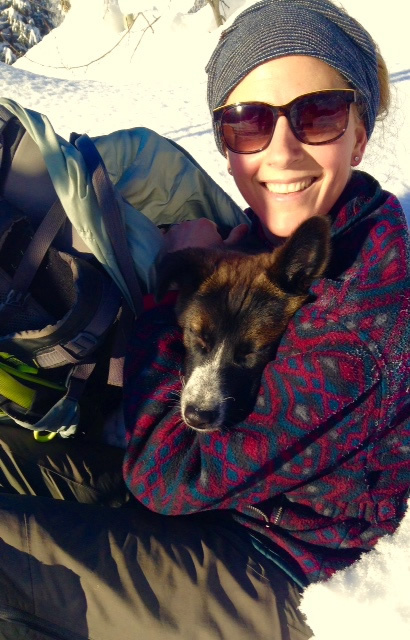 Natelle Fitzgerald is a cook, writer and all-around backcountry enthusiast. Born and raised in Halifax, NS, Natelle has travelled extensively and has had the opportunity to work in many different places and industries. Over the years, she's worked as a reporter, cook, oil-patch medic, horse guide, dog-sled guide and tree-planter. 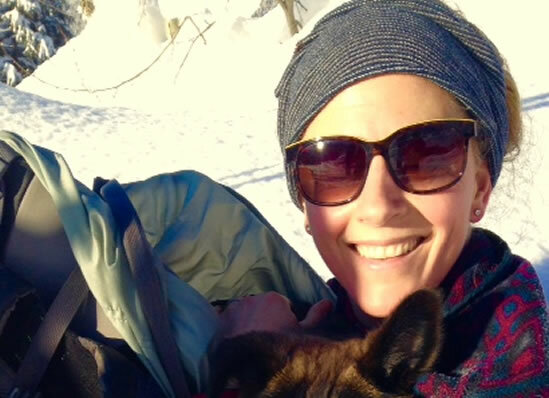 She loves exploring wild places, whether on foot, skis or by boat, and enjoys using her creative talents to concoct delicious meals to share with friends. Natelle will be cooking and helping manage the BMC during the summers; in the winter months, she works as cook and staging manager for Snowfall Lodge. She holds a journalism degree from the University of King's College and a Bachelor of Science from Mount Allison University. Her first novel, Viaticum, is set for release in October, 2019. With a knowledgeable, certified guide, proper equipment and preparation, mountain travel can be an enjoyable activity for many fit and adventurous people. A certified guide can take you to places where you wouldn't otherwise go by helping to assess, manage and mitigate the risks of travelling in the mountains. A guide can help you learn skills to keep yourself safe, organize logistics in an area you are unfamiliar with and find the safest routes through complex alpine terrain. Canada's professional association for mountain guides, the Association of Canadian Mountain Guides, is recognized worldwide as a leader in safety, expertise and professionalism. ACMG Mountain Guides are members of the International Federation of Mountain Guides Association (IFMGA) and are thereby qualified to guide trips in mountain regions around the globe. ACMG Guides undertake an arduous training regime, apprenticeship and series of examinations over the course of many years that breaks down over the three main alpine disciplines: rock climbing, mountaineering and backcountry skiing. ACMG Guides are also highly trained in wilderness first-aid, rope and crevasse rescue systems, glacier travel, avalanche forecasting and expedition logistics, just to name a few of their many skills. By hiring an ACMG Guide, you stand to make the most of your experience in the mountains.